More and more property investors have been steering towards the north for great investment opportunities. Latest research by mortgage brokers Private Finance has revealed Liverpool to be the next hotspot for property buyers, naming it the best place in the UK to invest. The study also found that Liverpool can offer net yields of up to 8% once mortgage costs are taken into account. Not only does the Northern Powerhouse city benefit from such attractive returns but it also boasts low average house prices (£122,283) and strong rents (£1,021 pcm). Indeed, Liverpool is proving to be a promising market in all aspects with the recently appointed Metro Mayor, Steve Rotheram, calling for the government to prioritise rail investment in the north by committing to building the HS3 rail link, also known as Northern Powerhouse Rail. Other recent investment in Liverpool’s connectivity is already yielding positive results as the city’s extremely popular cruise terminal broke records on its 10-year anniversary this month contributing £1.5 boost to Liverpool’s tourism economy. Further reports also stand testament to Liverpool’s magnetic appeal with the city experiencing a boom in the buy-to-let market as demand for quality rental accommodation continues to vastly outweigh supply. The Mistoria Group revealed a surge of tenant demand at 19% year on year with an average of 6.6 tenants chasing every shared room of a new rental property in the city. 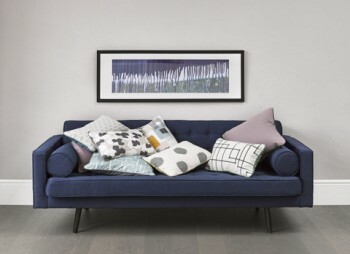 A trend also being seen by leading buy-to-let investment agency, Aspen Woolf. Eldon Grove provided some of the best pre-war social housing built by Liverpool city council, setting a new standard for the whole country which it was officially opened by the Countess of Derby in 1912. The layout, with its central square, well-maintained garden and bandstand, along with the chocolate-box look, helped create a vibrant community, lifting up some of Liverpool’s poorest residents. Falling into disrepair, Eldon Grove is now being brought back to life 100 years later. Incorporating three original Grade II-listed blocks alongside three newly built blocks of stylish and contemporary apartments, New Eldon Grove has been carefully designed to preserve the heritage of the site while serving the needs of a new generation. Comprised of 45 apartments including 1,2 and 3 bedroom units, New Eldon Grove is set within peaceful surroundings of inner city Vauxhall (where once the late Cilla Black called home) yet on the edge of the vibrant Liverpool city centre. Apartments situated in the original blocks have been re-imagined for 21st century living, with fully modernised fitted kitchens and bathrooms, while benefiting from the character of the Tudor buildings, with mullioned bay windows and their own front doors leading from the external walkways. New Eldon Grove residents will also benefit from a community garden and shared landscaping, as well as parking, bicycle storage and secured entrance hallways. From just £94,950, with ready to rent furniture packs available, New Eldon Grove provides investors with an assured 2-year NET rental of 7%. For more information, visit http://www.aspenwoolf.co.uk/ or contact Aspen Woolf on +44 203 176 0060. Known as the ‘New York of Europe’, the second city of the Empire, Liverpool has been relied upon by many different people, for many different reasons, over the centuries. As a maritime employer in the 17th century, through to a place of refuge from the Great Famine in the 19th century, of critical strategic importance to Churchill in World War II and the birthplace of musical icons The Beatles, Liverpool has always delivered and today, this city is delivering for those looking to invest in bricks and mortar. With its iconic landmarks, historic buildings, growing economy and rising population, it’s no wonder that Liverpool has become the highest ranked city in Great Britain in which to invest in buy-to-let property (Totally Money 2017). The research by Totally Money went on to reveal that the Liverpool central L7 postcode generated an average buy-to-let yield of 16.23%, far higher than London’s top ranking postcode of E13 (Newham) where the average yield was calculated to be 5.15% and the average asking price £350,000. One such buy-to-let opportunity in Liverpool that Aspen Woolf’s clients are coming to rely on is aptly named, Reliance House. Available from just £119,950, Reliance House can be relied upon to offer investors a 7% NET rental income in year one as well as strong capital appreciation from the number one place to invest in Great Britain (according to Totally Money). For more information, visit www.aspenwoolf.co.uk or contact Aspen Woolf on +44 203 176 0060. The latest Student Housing report from Savills (Spotlight 2017) supports the sentiment shared by many domestic and indeed international investors, that investing in PBSA (purpose built student accommodation) is the way to go in the current UK market. 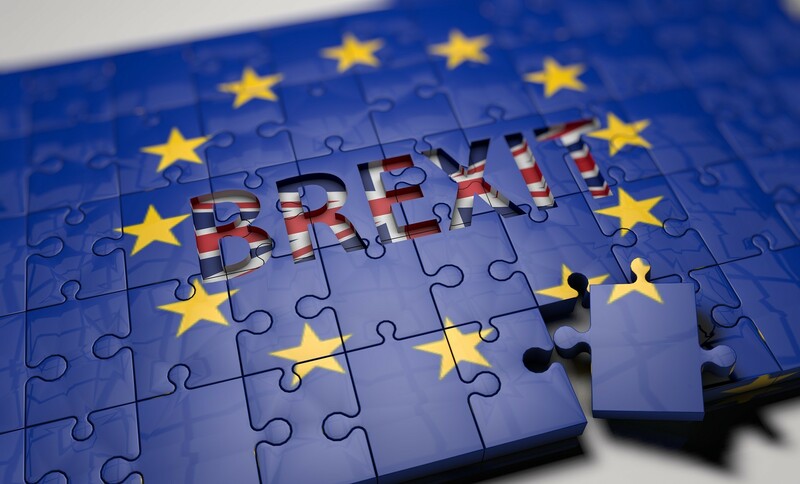 Despite a tricky economic year, over £2.1bn was transacted in the months following the Brexit referendum, compared to £1.9bn earlier in 2016 reports Savills. Analysis from JLL revealed that across 79 university towns and cities, almost half have student accommodation supply levels below 30% emphasizing strong development opportunities for PBSA. This, in addition with greater restrictions on the alteration of use from single dwellings to HMOs under Article 4, is set to play a significant role in the growth of the PBSA sector. Indeed, according to experts, the UK’s decision to leave the EU has not resulted in any negative effects to the PBSA sector as of yet, in fact it seems to have intensified the appetite of property investors now that sterling is worth up to 20% less than many other foreign currencies, overseas investments are at an all-time high as Savills reports. 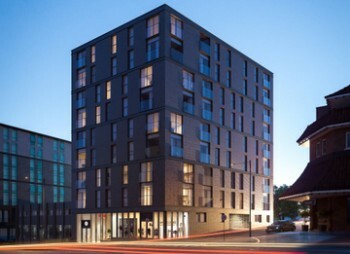 One UK university city with a chronic undersupply is Plymouth; according to JLL the coastal city has only 20% – 30% of PBSA relative to student numbers making leading investment agency Aspen Woolf’s luxurious Beaumont Square development a no brainer for investors looking to enter this Brexit-proof market. “Now is the time to invest in PBSA and Beaumont Square in Plymouth is the best place to start with. The combination of low levels of PBSA for the city’s population combined with the enforcement of Article 4 has made Plymouth stand out amongst the rest. Beaumont House offers 39 studio apartments from £78,500 with an 8% NET yield assured for three years. Currently under construction, the brand new, fully equipped student studios complete with high quality furnishing and stylish finishes will be ready for the 2017/18 academic year. For more information, visit www.aspenwoolf.co.uk or contact Aspen Woolf on +44(0) 203 176 0060. The UK will be very publicly facing off against the EU over the coming two years. Whether you voted for or against the split, the political and financial implications of the UK’s decision to leave the EU are huge. Now, Prime Minister Theresa May has called a snap election called for 8 June, in order for the Conservatives to take advantage of their largest lead in the polls over Labour in nine years (according to YouGov). Sterling’s turbulent journey since the Leave vote doesn’t look set to enter calmer waters anytime soon. Property investment is certainly one sector that is sensitive to sterling’s shifting value. So should buyers be looking to pick up property in the UK right now, or investing their funds elsewhere? Sector experts’ opinions are divided. Liggett points out that domestic property investment still offers a wide range of opportunities. The UK’s hotel and care home sectors are offering some of the most exciting property investment possibilities at present. 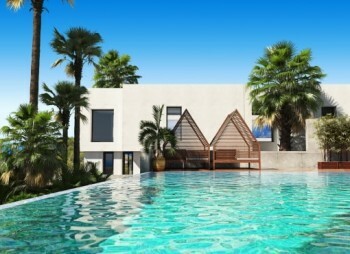 While UK hotel investments often come with the benefit of two or more weeks’ use per year, many investors want a property that comes with the promise of sunshine, and continue to look overseas to make their money work for them. For those seeking a purely financial investment, with no lifestyle benefits attached, the stability offered by buying in pounds is certainly a strong draw at present. The UK’s buy-to-let sector continues to perform well and the nation’s city centres look set to remain short of homes for many years, irrespective of Brexit. Ultimately, then, the decision on where to invest as the Brexit process unfolds will depend on the kind of benefits that individual property investors are seeking to get out of their investments, as well as how short or long term their outlook may be. With the current academic year nearing its exam led conclusion, students will be looking to their accommodation options for September. And with demand vastly outweighing supply, new and existing students will be keen to secure a spot for themselves. 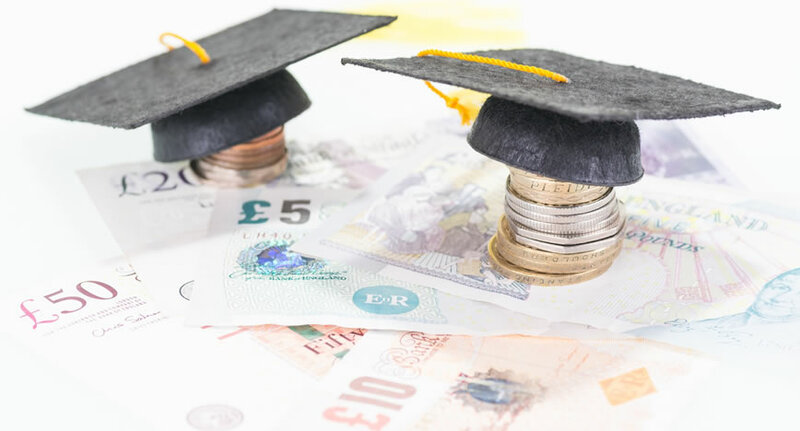 As key university cities continue to attract thousands of students every year, it’s no surprise that many B2L investors are turning to Purpose Built Student Accommodation (PBSA). According to figures from HESA, the coastal set Plymouth University was home to 23,155 students in the 15/16 academic year alone. Highlighting an incredibly buoyant market for those investing in PBSA in the city. “Plymouth will be the location for a vast array of investment projects over the forthcoming months and years. The colossal £266 million investment programme set to transform the city centre, will no doubt enhance Plymouth’s attraction as a place for students to complete their studies. 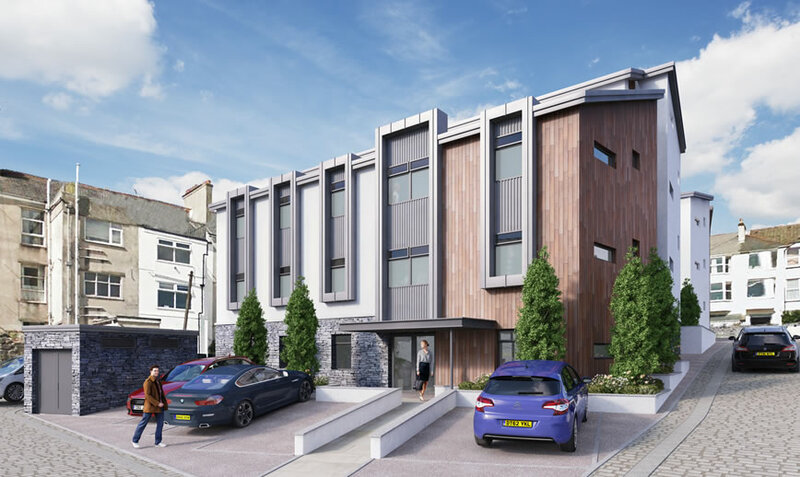 Located in an idyllic location, Beaumont Square is less than a mile away from Plymouth University, the bustling city centre and the beautiful harbour of this coastal city with prices starting from just £78,500 for the exclusive studio apartments. 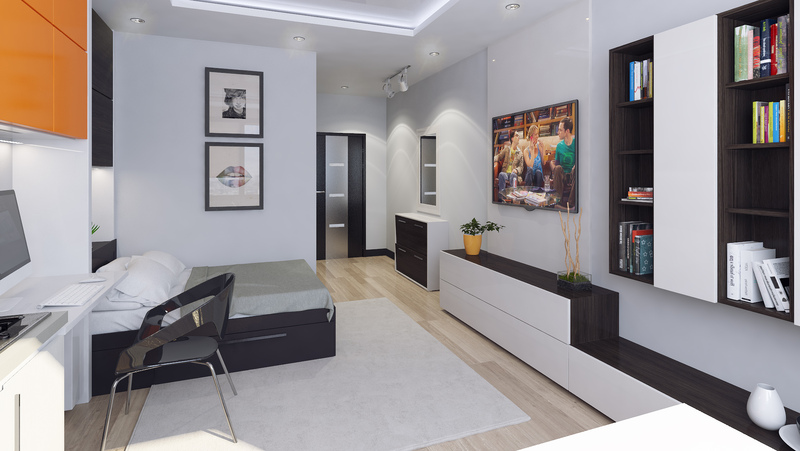 Every apartment will be offered fully furnished to prospective student tenants and the building will benefit from high end hotel apartment style finishes. Residents will also be able to enjoy an array of additional facilities including a laundry room, staffed reception area and the security of 24-hour CCTV. As momentum for the Northern Powerhouse builds, more and more investors are looking to the north of the country. However, Oliver Ramsden, Founder & Director of Aspen Woolf, leaders in providing wealth building opportunities for investors through property, believes investors should take it one step further, looking to the north of Liverpool’s bustling city centre to uncover hidden gems of its property market. We spoke with Oliver after his most recent visit to Liverpool in relation to the changes taking place throughout the city, and which postcodes are showing the most promise to investors. “What makes Liverpool unique is its young population, nearly 45% of the city is under 30, and many are young professionals and renters looking for quality accommodation that is still lacking in many of the city’s central postcodes. “For investors, the trick is to spot the next hotspots early. While in Liverpool I spent a significant amount of time walking around the dock area, checking on different builds and their progress, and even for someone that travels to and from Liverpool often, the change I’ve seen in such a short time is simply astounding. The Baltic Triangle, The Georgian Quarter, The Docks, all these areas that stagnated in the past are all thriving now. It was really exciting to see. “Our top tip for investors looking to Liverpool in 2017/8 is to head north of the city centre, around the Vauxhall area. The area is benefitting from a wealth of investment with road expansions, new train stations, a brand new football ground and new cruise terminal to boot. We’ve witnessed a huge spike in planning applications granted in the area, which is always a good indication. One property set to benefit from its L3 postcode is Aspen Woolf’s Eldon Grove. Having provided some of the best pre-war social housing built by Liverpool city council, Eldon Grove set a new standard for the whole country and was officially opened by the Countess of Derby in 1912. The layout, with its central square, well-maintained garden and bandstand, along with the chocolate-box look, helped create a vibrant community, lifting up some of Liverpool’s poorest residents. Incorporating three original Grade II-listed blocks alongside three new blocks of stylish and contemporary apartments, New Eldon Grove has been carefully designed to preserve the heritage of the site while serving the needs of a new generation. Comprised of 45 apartments including 1,2 and 3 bedroom units, New Eldon Grove is Set within peaceful surroundings, yet on the edge of the vibrant Liverpool city centre. The most recent data on the UK Student Housing sector has been released by Knight Frank revealing that some £3.1 billion was invested in the UK Purpose Built Student Accommodation (PBSA) market in 2016. More than double the levels seen in 2013 and 2014. Although the latest figures show that last year’s total spend was lower than the record of £5.1bn seen in 2015, it does demonstrate that interest in PBSA remains strong. And this certainly seems to be the case in the South West as demand for much needed PBSA continues to rise, especially within the city of Plymouth. According to figures from HESA, experts in UK higher education data and analysis, Plymouth University welcomed 23,155 students in the 2015/16 academic year. Yet, the Complete University Guide notes that there are only 2,800 rooms available for students from Plymouth University itself. And, it seems that keeping the city’s student population happy is important to the region’s economy with a recent event held at City College revealing that Plymouth’s student population is worth nearly £8.5 million weekly and over £39 million every month, as they spend a staggering £305 million annually. 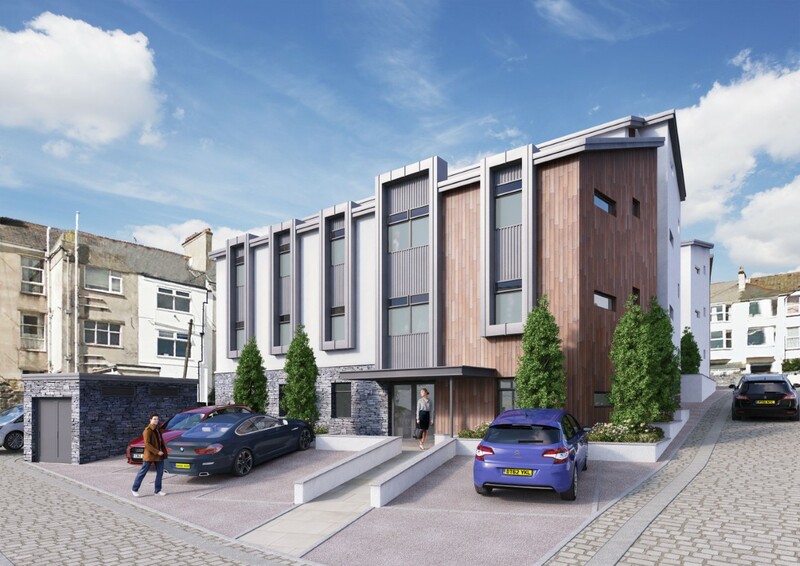 And it is just this opportunity that the experts at Aspen Woolf are presenting to their investors through PBSA developments such as the brand new Beaumont Square in Plymouth. Prices for the exclusive studio apartments at Beaumont Square start at just £78,500, 30% cheaper than the average price of a student bed in the South West as revealed by Knight Frank (£112,693). As well as a substantial below market value discount, investors will also enjoy an assured 3-year NET return of 8%. Located in an idyllic location, Beaumont Square is less than a mile away from Plymouth University, the bustling city centre and the beautiful harbour of this coastal city. Every apartment will be offered fully furnished to prospective student tenants and the building will benefit from high end hotel apartment style finishes. Residents will also be able to enjoy an array of additional facilities including a laundry room, staffed reception area and the security of 24-hour CCTV. There’s an age-old debate about whether city living trumps country living, or vice versa. UN figures show that our world is gradually becoming more urban, with 54% of the global population currently residing in urban areas. The figure is projected to rise to 66% by 2050, emphasising the pull of the city on those seeking economic opportunities and a wealth of cultural and entertainment options. Just as city and country living appeal differently to different folks, so too do the prospects of investing in such diverse locations. 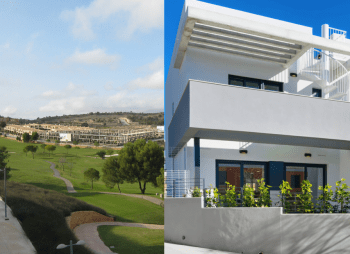 As well as buy-to-let investors looking for brand new developments, cities tend to attract those investors who want to take an active role in their property investment. Buying a house and refurbishing it can result in capital gains as well as healthy rental yields and many investors enjoy the buzz of managing their own properties. It can be a competitive occupation, and those at the forefront of the industry are continually seeking new ways to ensure that their properties stand out from the crowd. Engaging professional interior design consultants is the hottest new trend. Those investors who favour properties in the countryside tend to have a different focus than their city investor counterparts. They’re prepared to take on newer and more innovative asset classes in the pursuit of higher returns and lower taxes. The restrictions on tax relief for residential landlords has the potential to mark a step-change in investor preferences. From 2017 to 2018, only 75% of finance costs will be deductible from rental income. The figure will reduce annually, until it reaches 0% for the 2020 to 2021 financial year. As city centre buy-to-let developments become gradually less profitable for all those other than cash buyers, will former city investors head for the hills? Only time will tell. The perfect city investment: Set on the edge of the vibrant Liverpool city centre, the New Eldon Grove offers the perfect balance of past and present comprised of 45 apartments including 1,2 and 3 bedroom units. Carefully designed to preserve the heritage of the site while serving the needs of a new generation, from just £94,950, New Eldon Grove provides investors with an assured 2-year NET rental of 7%. Available through Aspen Woolf. Escape to the country: In the Valleys of South Wales, lodges and land plots at Afan Valley Adventure Resort allow investors to be part of a thrilling new adventure experience. Lodges are priced from £149,000 and offer 8% NET returns for seven years, with two weeks’ personal usage. Land plots offer a mark-up of 10% per annum for three years, from just £25,000. Both available through Properties of the World. Speaking with Oliver Ramsden, Founder & Director of Aspen Woolf, leaders in providing wealth building opportunities for investors through property, it’s clear that Liverpool’s housing market is definitely one to watch in 2017. Sharing his expert insight into the city’s current property climate, he advises that savvy investors will start to use both heart and head when choosing the next addition to their portfolio. “Whilst of course there’s a lot of new stock coming to market, we would advise investors to go for strategic locations and unique builds like historic Grade II listed Eldon Grove. With new builds sprouting up, it is the historical developments, the ones with a real story behind them that have the highest resale value. Eldon Grove provided some of the best pre-war social housing built by Liverpool city council. Forming part of a labourers’ village, it set a new standard for the whole country and was officially opened by the Countess of Derby in 1912. The layout, with its central square, well-maintained garden and bandstand, along with the chocolate-box look, helped create a vibrant community, lifting up some of Liverpool’s poorest residents. Eldon Grove was deemed an integral part of local history in 1993 when the building was granted Grade II-listed status. Oliver goes on to explain how Eldon Grove, exclusively available through Aspen Woolf, is strongly supported by the council and that the local community is excited to see the building brought back to life. Set within peaceful surroundings, yet on the edge of the vibrant Liverpool city centre, the New Eldon Grove offers the perfect balance of past and present comprised of 45 apartments including 1,2 and 3 bedroom units. Incorporating three original Grade II-listed blocks alongside three new blocks of stylish and contemporary apartments, New Eldon Grove has been carefully designed to preserve the heritage of the site while serving the needs of a new generation. Apartments situated in the original blocks have been re-imagined for 21st century living, with fully modernised fitted kitchens and bathrooms, while benefiting from the character of the Victorian buildings, with mullioned bay windows and their own front doors leading from the external walkways. 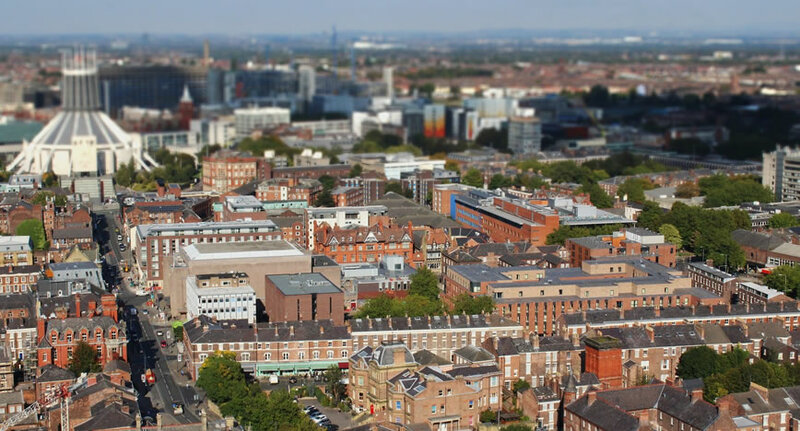 As the UK’s student population continues to grow, so too does the demand for appropriate housing in university towns and cities across the country. And welcoming an increasing number of students is causing many places to expand their student accommodation offering, allowing Purpose Built Student Accommodation (PBSA) to take centre stage. Now home to four major educational institutions; the University of Huddersfield, Kirklees College, Greenhead College and Huddersfield New College, Huddersfield is now very much in demand with both domestic and international students. With over 48,000 students from more than 120 countries currently studying in the West Yorkshire town, 2017 will see a growing need for appropriate accommodation. Leading investment agency, Aspen Woolf’s latest offering in the PBSA market is located for just this reason in Huddersfield. Cormorant House is situated within a key redevelopment area of the town, less than 150m from Kirklees College and under half a mile from the University of Huddersfield making it an excellent choice for potential student tenants. “Cormorant House is the perfect starter investment for those looking to introduce themselves to the PBSA market. Currently there is a significant imbalance between the demand for PBSA in Huddersfield and the available units for rent. And as student numbers moving to the town continues to grow, so too will this imbalance with breaking point not too far away. Self-contained studio apartments start at just £57,995, giving investors an assured 5-year NET rental of 9%. With the first phase already well under construction and nearing completion, Cormorant House will provide a total of 168 purpose built modern student apartments for the Huddersfield student housing market. Every apartment will be offered fully furnished to prospective student tenants and the building will benefit from modern, high-end hotel apartment style finishes. Set to be the premier student accommodation in Huddersfield, its residents will also benefit from an excellent range of on-site amenities including a games and television room, private cinema, study rooms and an impressive I.T. suite as well as onsite laundry facilities and parking.